Staying sharp and preserving brain health as we get older is a major concern for all of us. A healthy diet and regular exercise go a long way toward supporting cognition, and nutritional supplements can be helpful as well. One supplement in particular, citicoline, protects the brain in a variety of ways. Citicoline, also known as CDP-choline, is a naturally occurring chemical in the brain. It is essential for the synthesis of phosphatidylcholine, a major constituent of the brain's grey matter. Supplemental citicoline has been used therapeutically for stroke recovery, Parkinson's disease, and even attention deficit hyperactive disorder (ADHD), but it's especially promising for improving memory and preventing age-related cognitive decline. In one study of healthy women aged 40 to 60, those who took a citicoline supplement for 28 days performed significantly better on a test evaluating attentional function than a placebo group. Research also finds that citicoline increases verbal and overall memory performance and improves mild vascular cognitive impairment (a form of dementia caused by damaged blood vessels in the brain) in older individuals. From preventing memory impairment to improving focus and enhancing learning capacity, it appears that supplementing with citicoline leads to a better functioning brain. While citicoline occurs naturally in the body, it's not available from food -- so to increase your levels of this important brain chemical, a supplement is essential. 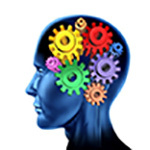 Support your brain's health and look for a citicoline supplement at your natural market.